The Friends of Linwood Cemetery Trustees are delighted to announce that our first restoration project is now completed. 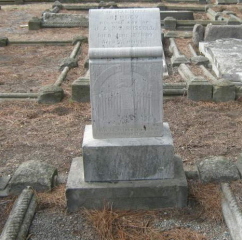 In early 2009 we were granted $5,000 by the Lotteries Fund to restore 24 fallen and damaged headstones in Block 29. Any restoration has to be done to the standards of the Conservation Plan for the cemetery and so we put the work out to tender. DecraArts won the contract and have now completed the work. “The project took a long time to complete because, initially, we weren’t aware of the process required by the City Council which ensures that the families responsible for the plots have a chance to object to any work being done on their plot.” said Anne Holloway, the Chair of the Trust. “The City Council called an extra-ordinary meeting with us in October 2009 so we could determine a legal and efficient process to get the work completed and recorded, which was important for both organisations,” she added. Families are responsible for their own grave plots, but as time has gone on many families are often unaware of this, or even that they have family buried in Linwood Cemetery. The Friends of Linwood Cemetery Trust, as self-appointed guardians of the cemetery, are trying to encourage community pride back into the cemetery with an aim of eliminating vandalism and preserving the cemetery for future generations. We hope that families will contribute to the restoration of their own family plots but, in the meantime, we will continue to raise as much funding and awareness as possible to try to ensure that graves under the most threat of losing pieces are preserved. “She’s pretty big job! 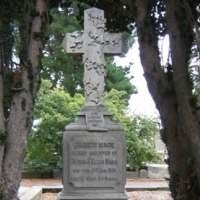 But at least we now have some examples of what can be done for people to see and hope that there is less damage and more enthusiasm by locals to put the heart back into the cemetery.” added Alexandra Gilbert, Secretary of the Trust. We have already selected more headstones in the same area that need urgent restoration and will try to get further funding to extend the project. In addition, we want to work with the City Council to track down families of the plots under most threat and to help facilitate restoration for people who are keen get this done. This project had enabled us to decide on a strategy, determine a legal process that enables us to work with the City Council and to record progress. It is very tempting, when in the cemetery, to want to repair all the damage in one hit, because it is so heartbreaking to see the state of the graves. The damage is so extensive and often mindless. At a rough estimate one in ten graves have received either deliberate damage or environmental damage and there are nearly 20,000 people buried in there. It’s been a tough decision, but we have decided to carry on round the parking circle near Block 29 where we started as many people use this main path and people still gather there for some funerals. Fingers crossed, we can keep going and financial help and interest will snowball. You can se e more before and after pictures by searching Block 29 on this website. Linwood Cemetery, the fifth oldest surviving burial ground in Christchurch, showcased its spring beauty at an official Opening of the Gates ceremony. Hagley Ferrymead Community Board chair Bob Todd and Friends of Linwood Cemetery Chair Linda Rutland symbolically opened the newly installed gates to signify the renewal of the grounds. The cemetery in a quiet corner of Bromley, is being transformed with plantings and grave repair. The grounds has fallen into disrepair through vandalism and neglect. “Work has been underway for the past few years on the renewal “of this now treasured community space,” Ms Rutland said. “It has been incredible how a few women who have rallied around this once heavily vandalised cemetery have now started a community project whose goals for this piece of land are widely shared within the community,” she said. 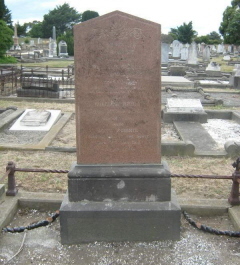 Among the notable names on the memorial stones are Bishop Churchill Julius, second Anglican Bishop of Christchurch; Thomas John Edmonds and his wife Jane Elizabeth, the Edmonds Factory founders; and explorer Arthur Dudley Dobson. 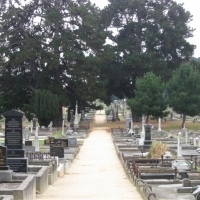 It also contains a Jewish section, including graves resited from the 19th century Jewish cemetery in Hereford St.
An extensive restoration programme includes repairs to monumental masonry, path reconstruction, landscape enhancement, and the entrance redevelopment which culminated in the opening of the gate’s celebration. The Christchurch City Council has been working on path reconstruction, landscape enhancement, and entrance redevelopment. The grave planting and weeding and landscape plantings are being carried out by the Friends group. By April this year, the Friends had raised $25,000 for routine monument repair when a new wave of vandalism was discovered. Last month’s celebration included a guided historical tour by well known cemetery historian Richard Greenaway. The tour was followed by a community planting and barbecue. Vandals have wrecked up to 30 graves at historic Linwood Cemetery in a wanton bender that has almost compromised the integrity of some sites. Headstones have been uprooted and graves desecrated in what the Friends of Linwood Cemetery say is an “outrage”. The group is appealing for muscle power to help put the headstones back in place. “We could make a huge improvement if we could get some male volunteers who were able to put the headstones back in place. Many have just been moved not smashd and so if we had some muscle to help, it would make an enormous difference,” Ms Rutland said. 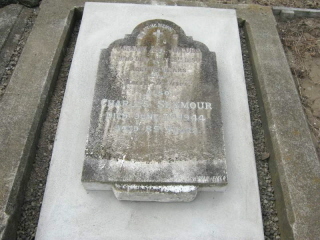 Linwood, the fifth oldest surviving cemetery in Christchurch, yields an historical record of many of the founding fathers and early settlers. 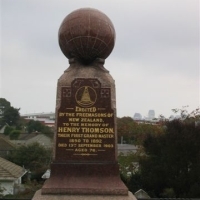 Among the notable names is Bishop Churchill Julius, the second Anglican Bishop of Christchurch; Thomas John Edmonds and his wife Jane Elizabeth Edmonds, the Edmonds Factory founders; and explorer Arthur Dudley Dobson. It also contains a Jewish section, including graves resited from the 19th centruy Jewish cemetery in Hereford St.
An extensive restoration programme still underway includes repairs to monumental masonry, path reconstruction, landscape enhancement and entrance redevelopment. 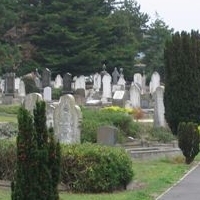 The Christchurch City Council is working on path reconstruction, some headstone repair and general improvements as the budget allows, but the Friends group are doing all the grave planting and weeding and landscape plantings. The $25,000 raised by the group for monumental repair would be used “very carefully” to gain the maximum outcome, Ms Rutland said. The cemetery had fallen into disrepair through vandalism and neglect. 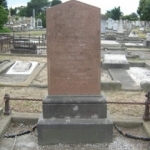 The group set the ball rolling in 2000, annoyed nothing had been done to conserve the heritage cemetery, which contains some exquisite examples of early monumental masonry. Anna Price, Christchurch Mail, April 22, 2009. 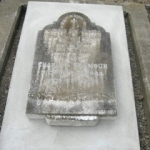 If any grave/headstone that has meaning to you is in disrepair and you would like to have this rectified, we can arrange restoration for you at your cost. Please contact us here.